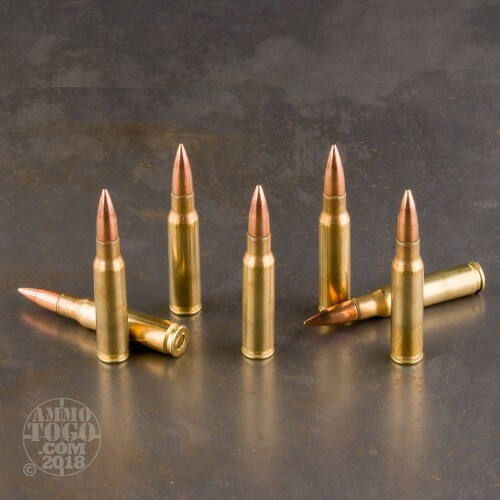 The 7.62x51mm is a highly used round that benefits many different countries, particularly within NATO. This round was fitted for the M14 as well as the M60, and has nearly identical performance to the 308 Win round. 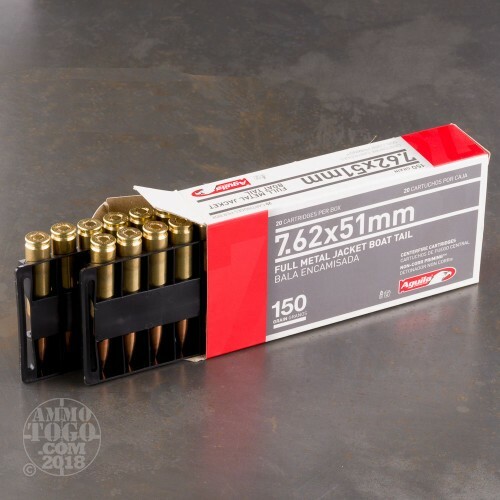 Agulia loads these rounds into fresh brass cases that come boxer primed and can be reloaded. 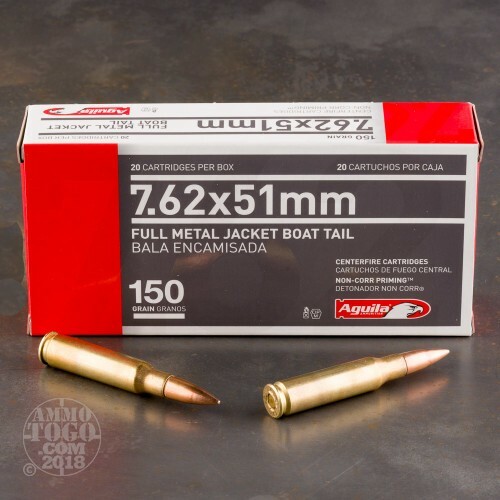 Each projectile in this 500 round case features a 150 grain full metal jacket boat tail projectile that achieves and average muzzle velocity of 2,750 feet per second. The Mexican company Aguila has been around since 1961, providing ammo built out of only the best components. Their manufacturing facility was originally set up by Remington and their ammo is non-corrosive. Aguila's bottom line is "Only choice materials enter our factory so only choice products leave it." 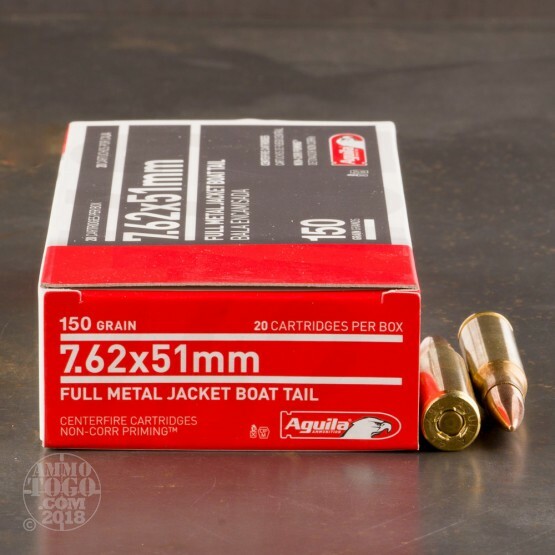 Pick up this 500 case of quality 7.62x51mm ammo today!